A major life change such as a divorce can be an extremely stressful time. When you find yourself facing issues in family law, you need an experienced attorney on your side to help you make the right choices for your future. 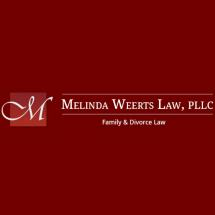 At Melinda Weerts Law, PLLC, in Fargo, North Dakota, we know how difficult of a time this can be for you. Our attorneys are here to provide you with the information and guidance that you need to find an efficient and long-lasting resolution to your current concerns. It is our goal to help reduce the conflict in your case. We strive to reach cooperative agreements with the other party, because these stand a much better chance of lasting. However, if litigation is unavoidable, our lawyers have extensive courtroom experience, and we will be strong advocates for you and your children. At our law firm, you will be treated with respect and compassion. You will be able to tell us about your concerns, and we will give you honest and straightforward advice at all times.